Your picture with an exclusive look! 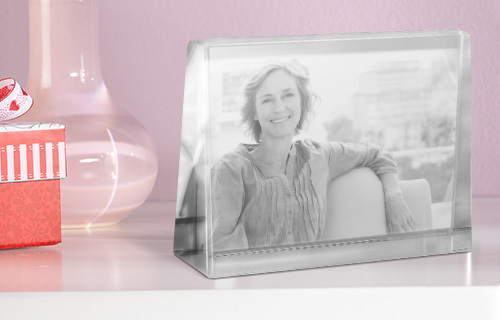 This crystal photo frame is guaranteed to impress from every angle: your favourite picture is gently laser etched into the glass, to give it a vivid finish. 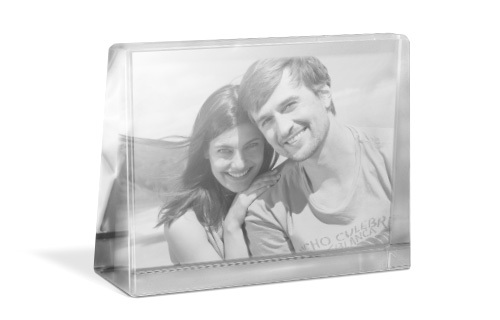 The crystal glass' trapezoidal shape makes it photo and frame in one, standing solidly on it's own! Delivered in an attractive gift box. A quality crystal glass and frame in one. Comes in a practical gift box.